With world championship titles on the line, fans can expect edge-of-their-seat excitement and action-packed drama as drivers in the NHRA Mello Yello Drag Racing Series roll into zMAX Dragway for the ninth annual NHRA Carolina Nationals, Sept. 15-17. The 11,000 horsepower, ground-pounding action NHRA drag racing fans love will once again be showcased at the state-of-the-art facility that has hosted the opening round of the six-race Countdown to the Championship playoff since 2008. This year's edition of the famed event will feature intense side-by-side racing as drivers in Top Fuel, Funny Car, Pro Stock and Pro Stock Motorcycle compete for Mello Yello Series points and a coveted Wally trophy. Last year, fans witnessed the thrilling action as Antron Brown (Top Fuel), John Force (Funny Car), Jason Line (Pro Stock) and Chip Ellis (Pro Stock Motorcycle) bested the competition and claimed playoff wins. Brown and Line rode their winning momentum to 2016 world titles in their respective categories. Heading into the final race of the regular season at Indianapolis, Brown, driver of the Matco Tools dragster for Don Schumacher Racing, holds the Top Fuel points lead. A three-time NHRA Carolina Nationals winner and two-time and defending series champion, he will certainly have a target on his back this year. Rounding out the top five in Top Fuel points, competitors like Steve Torrence, Leah Pritchett, Tony Schumacher and Brittany Force, have all secured spots in the Countdown and will aim to knock Brown down. 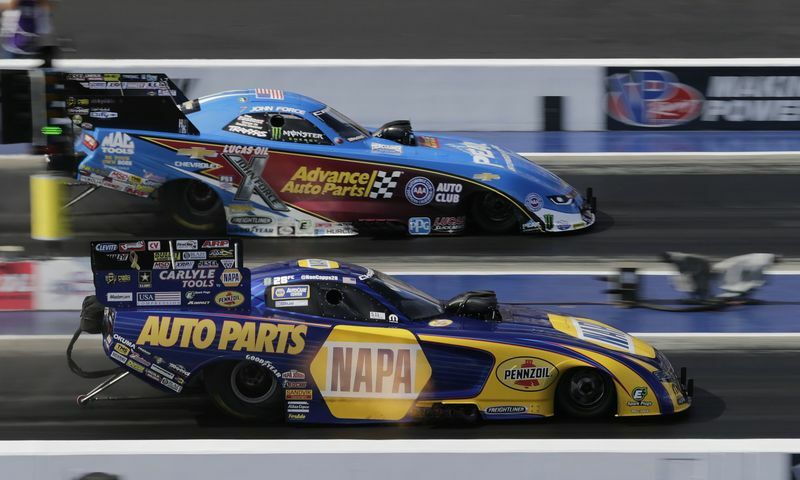 Coming off of his first Funny Car championship in 2016, Ron Capps has continued his dream year through 2017, powering his Don Schumacher Racing NAPA Auto Parts Funny Car to a career-best six wins on the season. A two-time winner at zMAX Dragway, including a victory earlier this season at the NHRA Four-Wide Nationals, Capps will have his hands full with the likes of Robert Hight, Matt Hagan, Tommy Johnson Jr. and Jack Beckman, among others, battling for crucial playoff points during the fall Charlotte showdown. Bo Butner has only earned three Pro Stock Wallys in his career, but his consistency on the track has kept him atop the Pro Stock point standings for most of the season. The 43-year-old Indiana native will have to power his Jim Butner Auto Chevy past rookie sensation Tanner Gray (a four-time winner already this year), hometown racers Greg Anderson and Jason Line, and fellow Indiana wheelman Drew Skillman, among others, if he hopes to carry his consistent season all the way to a championship at year's end. In Pro Stock Motorcycles, LE Tonglet holds a 184-point advantage over a bevy of veteran racers heading into the season finale at Indianapolis this weekend. Tonglet returns to zMAX Dragway with a healthy dose of confidence after claiming the NHRA Four-Wide Nationals title earlier this season, his second win at the Bellagio of drag strips. But he faces a wave of veteran riders, including teammates Andrew Hines and Eddie Krawiec, who have won eight of the last 15 Pro Stock Motorcycle races at the world-class drag strip, two-time world champion Matt Smith and Hector Arana Jr., a Countdown contender in all seven seasons on the circuit. As always, fans will have the opportunity to interact with their favorite drivers as they're granted an exclusive pit pass to the most powerful and sensory-filled motorsports attraction on the planet. This unique opportunity in motorsports gives fans direct access to the teams, allowing them to see firsthand how the highly-skilled mechanics service their hot rods between rounds, and get autographs from their favorite NHRA drivers. Mello Yello Drag Racing Series qualifying will feature two rounds (2:45 and 5:15 p.m.) on Friday, Sept. 15, and the final two rounds of qualifying on Saturday, Sept. 16, at 12:45 and 3:15 p.m. Final eliminations are scheduled for noon on Sunday, Sept. 17. Click here for a full weekend schedule. Don't miss a minute of the action with three-day passes starting at just $99. Kids 13 and under are free with a paid adult. To purchase tickets, call 800-455-FANS (3267) or visit www.charlottemotorspeedway.com. Keep track of the NHRA Carolina Nationals and everything happening at Charlotte Motor Speedway by following on Twitter and Instagram or become a Facebook fan. 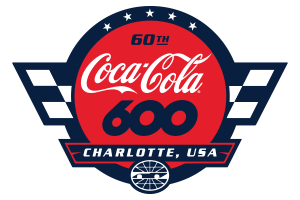 Keep up with all the latest news and information with the Charlotte Motor Speedway mobile app.